Yep! 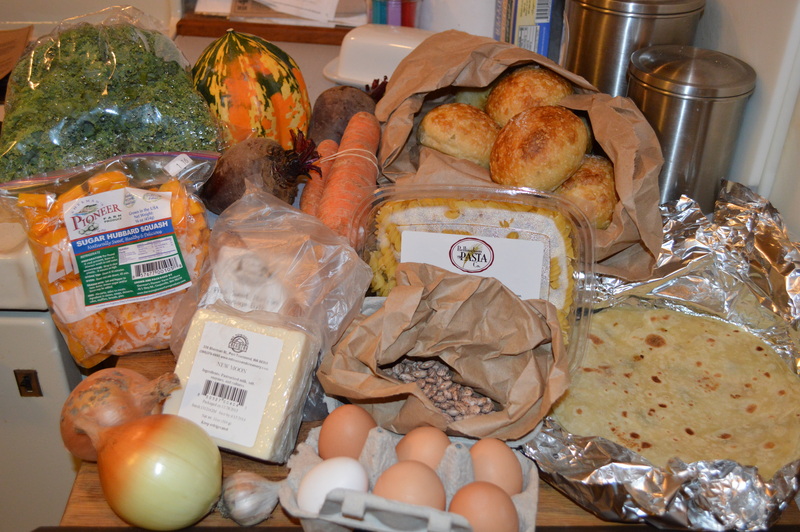 Still getting my CSA Box from Acme Farms & Kitchen. I was pretty delinquent posting my boxes during the holidays and now I’m running late again. This was our box from last Thursday. I’m not sure exactly when they will stop providing boxes, but I’m loving it for as long as it lasts. I have to admit that none of the recipes this week really appealed so I made a chicken stir fry with the onion and carrots. I made egg and chorizo breakfast burritos over the weekend using some chorizo from a few boxes ago, the eggs and tortillas. Then last night I made a very yummy white mac ‘n cheese with the fusilli pasta and a bit of the kale.